The Tesoro Sagitta Spectrum RGB Gaming Mouse compares quite favourably to a lot of the other gaming mice I have tried. It is sleek-looking, responsive and has some nice bells and whistles that justify its price tag at higher than budget gaming mice, while still ringing in less expensively than some of the better known brands on the market. When I am talking about bells and whistles, I am referring to the Sagitta's onboard memory, six programmable buttons, changeable DPI settings that cap out at 5,000 and customisable LED colour settings. 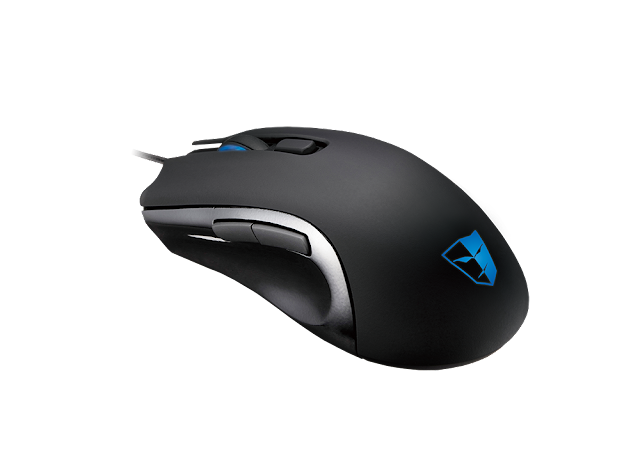 All of these items are common in gaming mice to one extent or another, and when all of these are present on one mouse, these are features usually found on even more expensive brands. First I want to talk about the shape and design. For starters, we have a rounded design mouse that is ambidextrous. Now because I am right handed, I do admit that I prefer a mouse ergonomically designed to suit right handed use. However, for those who want to play using their left or just prefer the more symmetrical design that an ambidextrous mouse offers, they should be very pleased with the Sagitta. 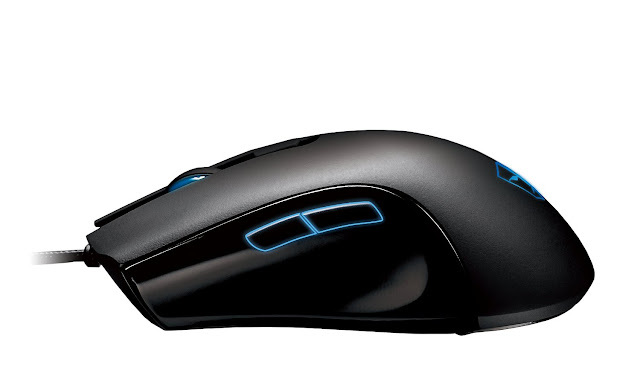 With two buttons on either side of the mouse, a scroll wheel at a comfortable location near the top and middle, you can manipulate this mouse with either a palm or a claw style of play. It is a comfortable mouse that suits both my slightly larger than average hand and my son's more medium hand size. The mouse itself is dark and sleek in its appearance. I liked the rounded form factors - I have used gaming mice that go for an edgy, futuristic look and find the angles and flat edges less comfortable over extended periods of time. It is worth noting that this mouse is quite light and does not come with a weight system for those who like a little additional heft in their mouse. It is all a matter of preference, but this guy rings in at 4.3 ounces and glides quite effortlessly for me. The cable is of the moderately thick variety and is the braided style I am partial to for mice. It is not so stiff as to make the mouse difficult to move, but should prove durable. The primary right and left buttons at the top of the mouse are firm, so if you are looking for a mouse with a light/touch trigger, these will disappoint. My preference is for a solid, heavy click action I can feel and hear, and the Sagitta fits that mould. While I like the overall feel of the mouse, I do wish the sides had some sort of a rubberised grip where the mouse slopes in to accommodate the thumb. The shape is awesome, but a rubbery or ridged texture for a bit of extra traction down there would have been appreciated. Aesthetically it looks quite nice with its primary black colouring and the Tesoro logo near the bottom base and some silvery accents along the site. The light has some nice customisable options, and I found the current software for this mouse easier to navigate than some of the older Tesoro mouse downloads. Using the software is how you can set up your preferred lighting options as well as reprogramming the buttons and defining your DPI. While durability, aesthetics and comfort are all important parts of the decision when trying to determine which mouse to sink you money into, accuracy is probably foremost for myself. Here the DPI is very good. I have used gaming mice that go even higher, but for my uses I tend to linger around the 3,000 to 4,000 mark anyway, which mitigates the need for something that goes higher than 5,000. Of greater importance to me is how it actually handles all of that movement, and I noticed no pixel skipping in the Sagitta, even with really rapid movements at very sensitive settings. There are two glide pads - one in the front and a wider one in the back and I found the gliding motion to be a natural and smooth one. All of the button presses were responsive and appropriately 'clicky' as well. While the Tesoro Sagitta Spectrum RGB Gaming Mouse is not particularly innovative in any one way, it does do an excellent job of blending performance, aesthetics and comfort together at a really nice price point below some of the more expensive mice on the market. There are mice with higher DIP settings, more programmable buttons and the option to add weights to them, so it is a matter of what you need out of your mouse. 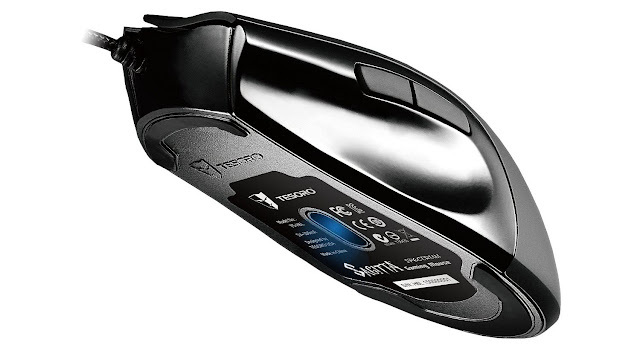 This is a great mid-priced gaming mouse that does several things very well and will likely be more than most people ever need and creates a great deal of value in the process.